What happens when you fall off the vegan wagon? Well, you land in a pile of emotional stuff you never knew was possible. Pregnancy does some funny things, but when people say you are a vessel it is something to truly take to heart. We as mothers are literally the outside carrying case for the life inside and whatever they need becomes our top requirement, regardless of our belief systems, passions or choices. For as long as I remember I was a picky eater and my preference was non-animal products and a healthy repertoire of veggies. My friends and family really never remember me even really eating meat. Dairy maybe, and of course living in Baltimore I had fresh seafood, but even that was rare. I think it started because I was a gymnast and always trying to maintain a healthy weight. While thin, I was never as small as my colleagues in the gym and I was voluptuous, always feeling like I needed to eat a little less. In someways I suppose I had a very low opinion of my body which enabled me to use food to control my body image issues. I used veganism as a way to have a social acceptable term for my pickiness. That statement at the above was something I practiced well when any question came up about my diet. Pregnancy with Iza was a breeze. I maintained a vegan diet the whole way through, splurging occasionally for eggs and spaghetti and clam sauce (which I love), but never straying too far from the vegan path. And I really wasn’t overly hungry. I felt great! I had a green juice every morning, 2 tbsp’s of E3Live and continued to practice all my typical habits. I was very comfortable and my total weight gain was 17lbs. I am currently possessed with a little guy on the inside who ONLY wants meat and dairy and at the end of my pregnancy I have gained over 30lbs. I fought it for as long as I could, but on Father’s Day in June we were at a BBQ place in Antigua celebrating Kurt and I literally ripped a huge hunk of chicken off his plate and ate every last bite of it. Since then meat, dairy and the like have become staples in our everyday. It wasn’t like I wanted to eat meat or to integrate it so fully into our diet, but it somehow stuck out of comfort. The kicking stopped every time I had anything meat or dairy related. I felt like I was starving my little man without eating it (even though I know that is completely illogical). On the flip side it has been a wonderful experiment. I have learned how to cook so many things with meat from burgers to bacon I am officially a well-versed carnivore cook. Parties at our house will certainly have an opportunity to expand beyond my typical dishes. In addition, it was a great opportunity to try everything I had avoided my whole life and get a chance to make a new choice about. I would say if anything remains in my diet it will be bacon. I now know why vegan people say that bacon is always the food that brings them back to a carnivore lifestyle. But now at 39 weeks and after 3 months of eating like this, I am so ready to get back to my typical diet as soon as I have the babe on the outside. I miss eating clean foods! The single most important aspect of a successful and satisfying bacon recipe is good quality bacon. What should you look for? I think it goes without saying since we focus on farm to table, but we strongly urge hormone free, organic, grassfed, pasture-raised bacon, ideally purchased from a local grower. My brother Michael and his partner Jen . Our preference on cut is based on what we plan to do with it, but for typical bacon we like a slightly thicker cut. This cooks up beautifully to become a red and tasty, crunchy piece of meat. A Our Very Own Ra’Co Bacon Wrapped Asparagus Glazed with a Balsamic Reduction and Baked in Olive Oil. For good measure I though I would include our favorite Raw Vegan Bacon recipe. 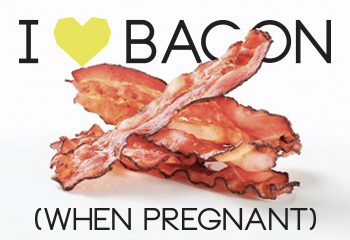 One that we always use when we are trying to recreate the flavor of bacon in a healthy, raw plant based version. It is really true that there is absolutely no need for meat and this is great proof. Give it a whirl and you can even have fun with the shape you cut it into. This recipe is all about the spices. The only negative to my diet change has been the introduction of all these new things to Iza’s diet. Perhaps it is good that she is able to try them and make up her own mind, but it is still challenging to watch my little vegan baby go full on carnivore and to LOVE it. This weekend we were making bacon on the grill and Iza started caressing it. I didn’t capture her singing, but I did get the visual effect (her mouth was far too full to participate in a song).